When most of us hear the word movie, the first thing that comes to mind is English movies. When most of us hear the word movie, the first thing that comes to mind is English movies. It is fair given English movies dominates the entertainment industry and has produced some of the most popular films. However, foreign countries also produce great movies every year, have a large audience and also deserve a place in the spotlight. With that in mind, here is a list of the best foreign language films in the US that are worth watching. Crouching Tiger, Hidden Dragon is a co-production between Hong Kong, Taiwan, United States and China. It is based on the fourth novel under the same name in Wuxia book series crane Iron Pentalogy by Wang Dulu, a Chinese novelist. It was directed by Ang lee and features Chinese renowned actors such as Chang Chen, Zhang Ziyi, Michelle Yeoh and Chow Yun fat. Crouching Tiger, Hidden Dragon has become an international success grossing over $213.5 million of which $128 million from the United States making it the most successful foreign language film in the US. To date, it has won over 40 awards. This is an Italian comedy drama film released on 23rd Oct, 1998. It was directed and starred by Roberto Benigni who wrote the film together with Vincenzo Cerami. Benign plays the role of a Hewish Italian book shop owner who uses his imagination to protect his son from the dangers of imprisonment in a Nazi concentration camp. Life is Beautiful based on a true story inspired by the book In The End, Beat Hitler by Rubino Romeo Salmoni who spent two year in a German labor camp during world war II. Despite a lot of criticism, this film was a big success grossing over $57,563,264. It won the best Film in Italy, nine di Donatello Awards, Grand Prix and three Academy Awards. Benigni was also named the best actor. Hero is a Chinese Wuxia film directed by Zhang Yimou and released 27th August, 2004. 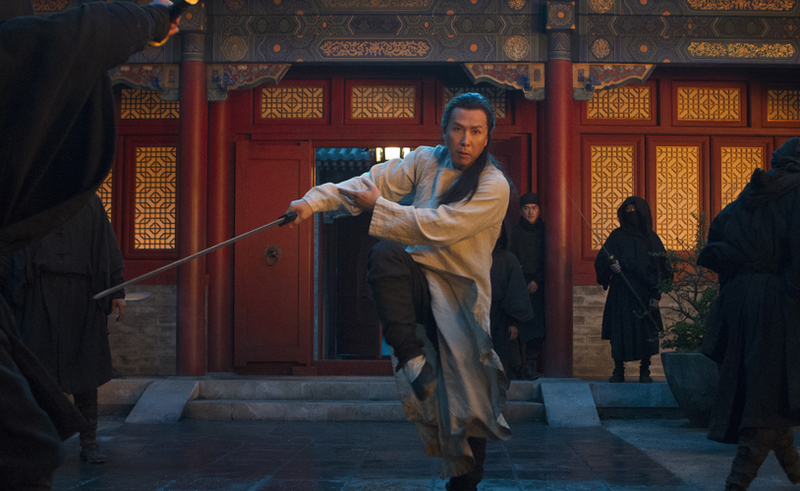 Starred by Jet Li, this film is based on a story about the assassination attempt on Jing Ke, the king of Qin in 227 BC. At the time of its release, Hero, was the most expensive project and the highest grossing film in China. It recovered over 53,710,019. Co written and starred by Eugenio Derbez, Instructions not included is a Mexican comedy drama released on 30th August, 2013. It grossed $7,846,426 in its opening weekend from 347 theaters in the United States and a total of $44,467,206 making it among the highest grossing films in 20143. Originally known as El laberintodel Fauna in Spanish, Pan's Labyrinth is a Mexican-Spanish fantasy film directed and written by Guillermo. It narrates the story of a girl who is fascinated with fairy tales, she is sent along with her pregnant mother to live with her ruthless stepfather, a captain of the Spanish army. At night, she meets with a fairy who takes her to a faun in the middle of labyrinth. Amidst universal criticism, Pan's Labyrinth grossed over $37,634,615 and won the Best makeup, Best Cinematography and Best Art Direction. It has also received nominations for Best Foreign Language Film, Best Original Screenplay and Best Original Score. Also known as Le Fabuleux Destin d'AméliePoulain in French, Amelie is a romantic comedy film written by Guillaume Laurant and Jean Pierre Jeunet and directed by Jean Pierre Jeunet. It tells the tale of a shy waitress who decides impacts positively the life of everyone around her while she struggle with her own isolation. Even with limited theater release, Amelie is among the highest grossing foreign language movie taking over $33 millions. © 2016 Noodle Film All Rights Reserved.